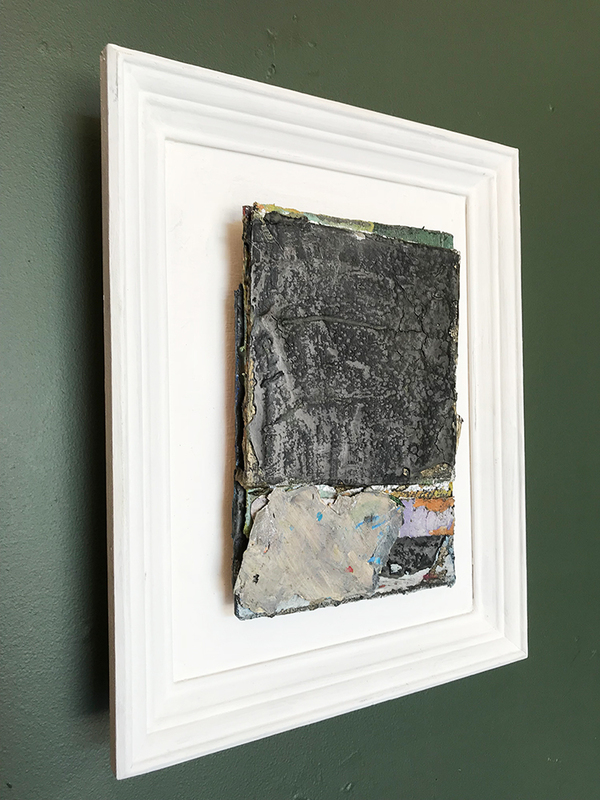 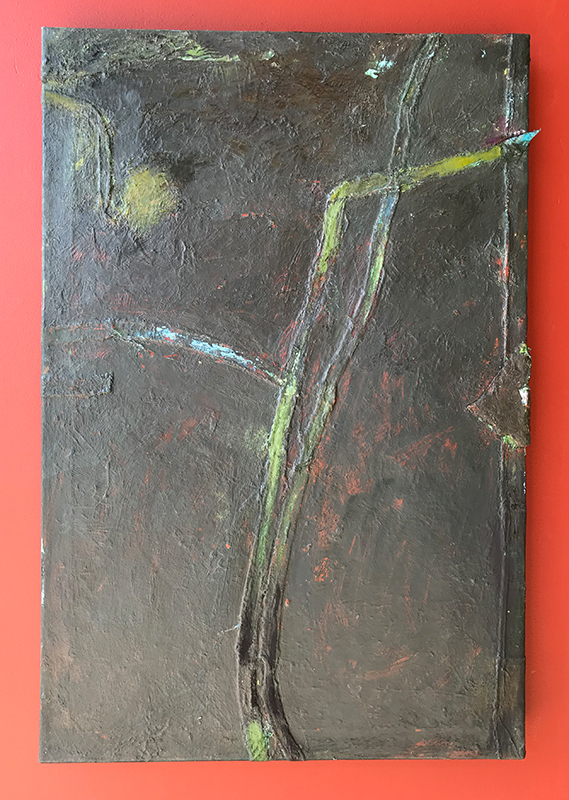 Presenting two new bodies of abstract work by Portland artist Kelly Saxton: oil paintings and smaller mixed media pieces. 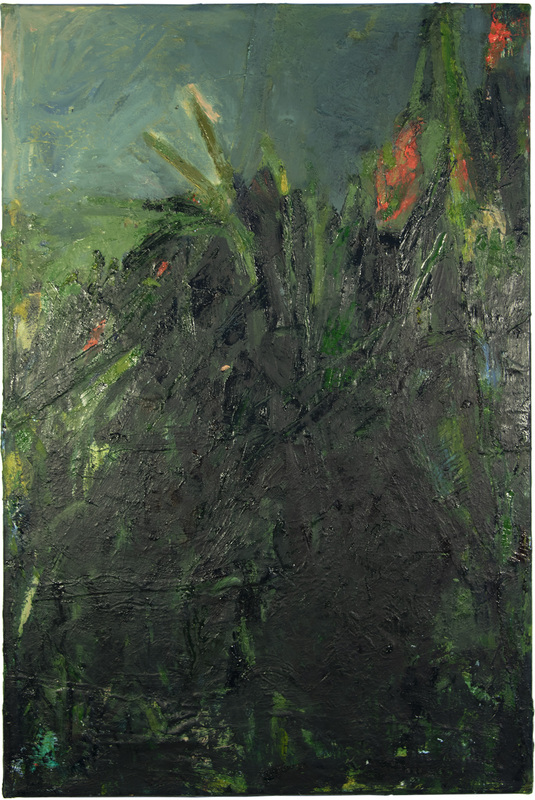 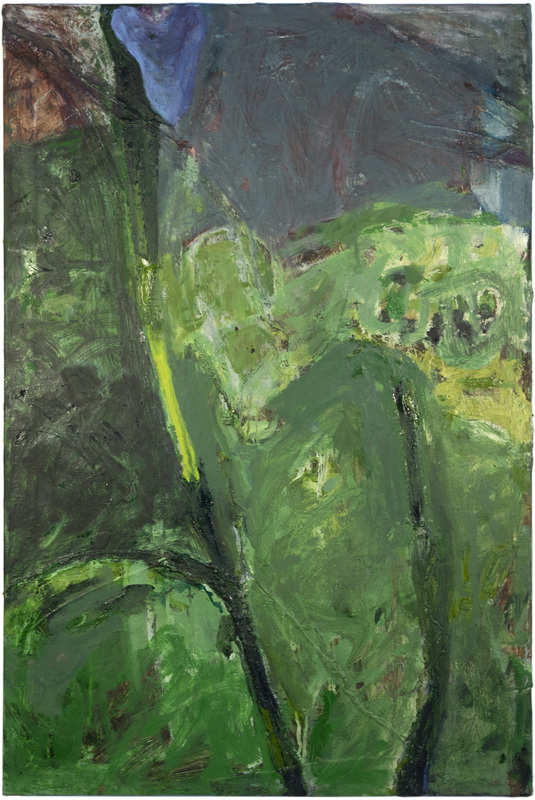 With titles like “Weed Ball,” the lush canvases seem to burrow into a mess of wild plant matter. 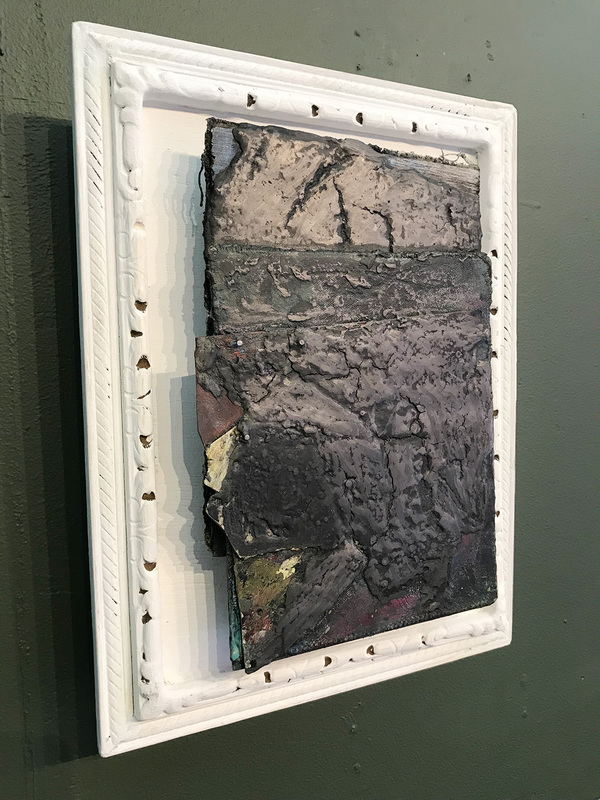 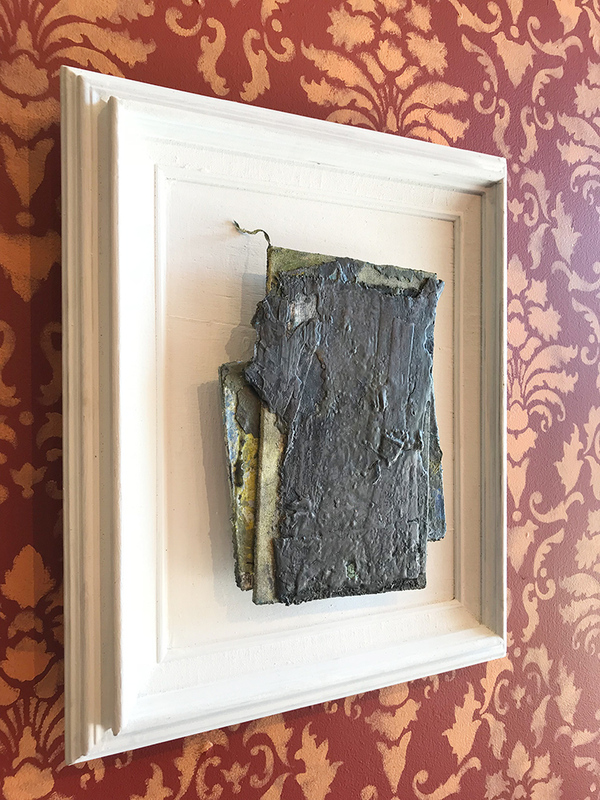 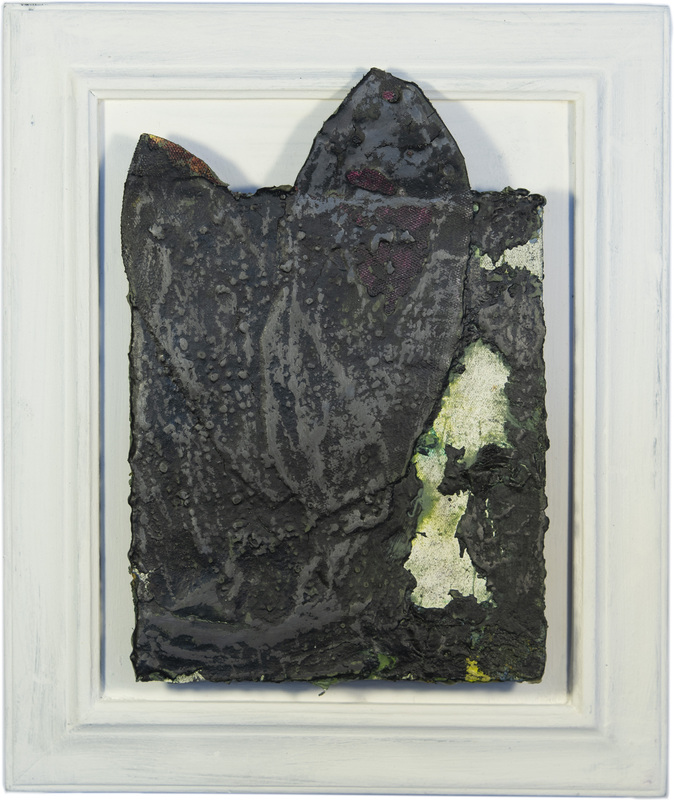 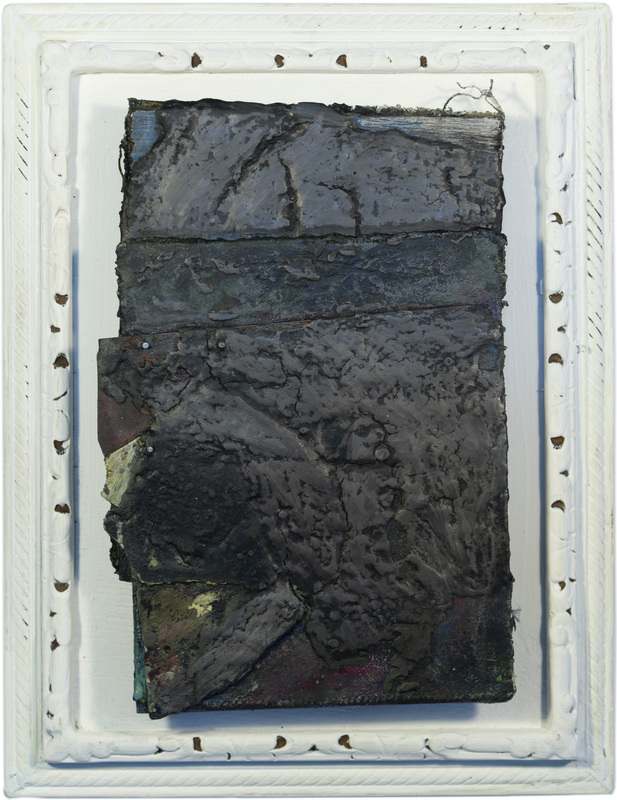 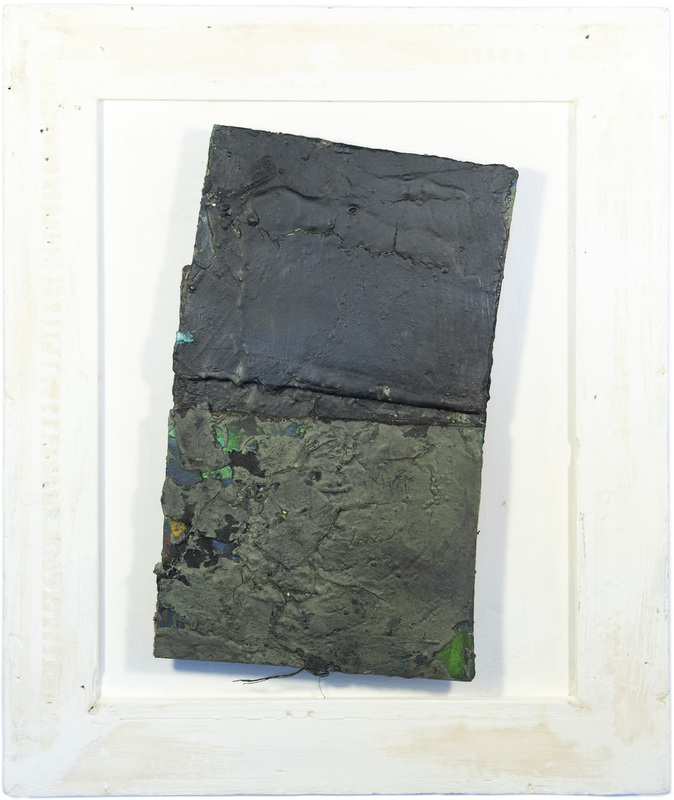 By contrast, new pieces from her sculptural drawing series are built up with layers of heavy black paint, paper, wood, cloth and other materials. 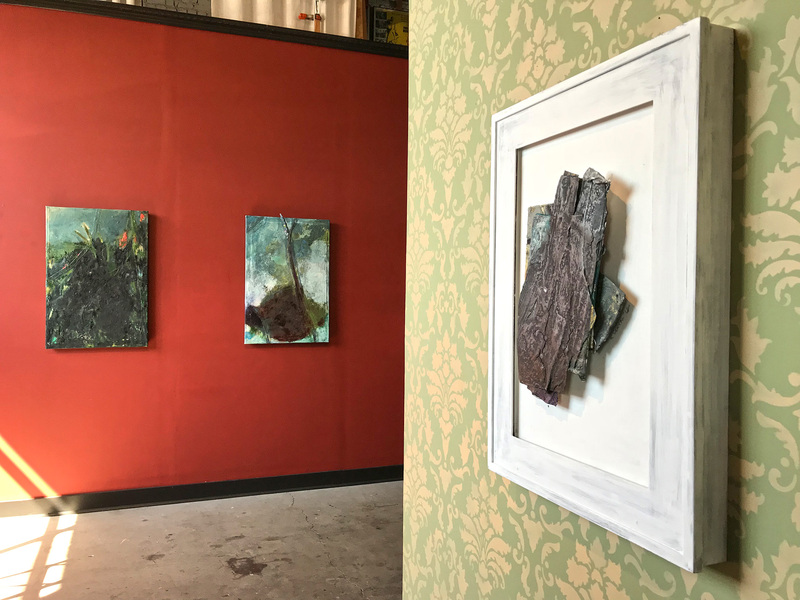 Referencing bark, they have the quality of dense accretions revealing underlays of lichen-like greens and reds. 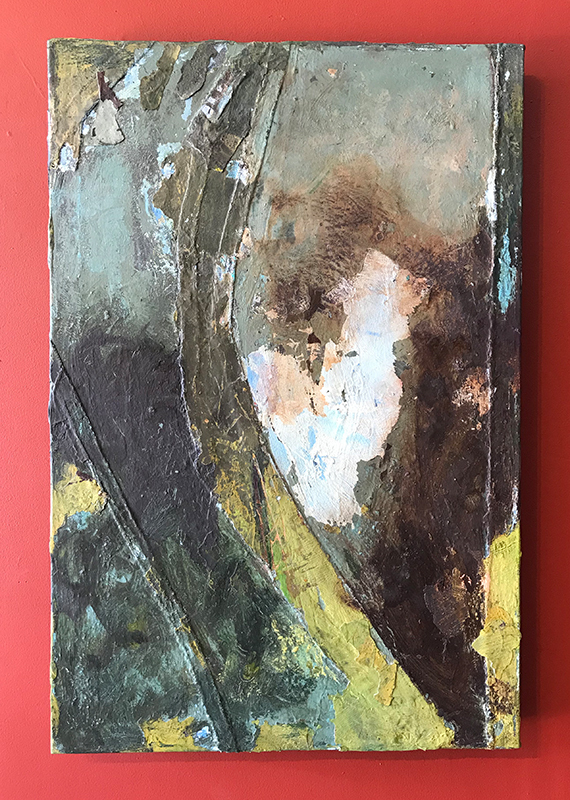 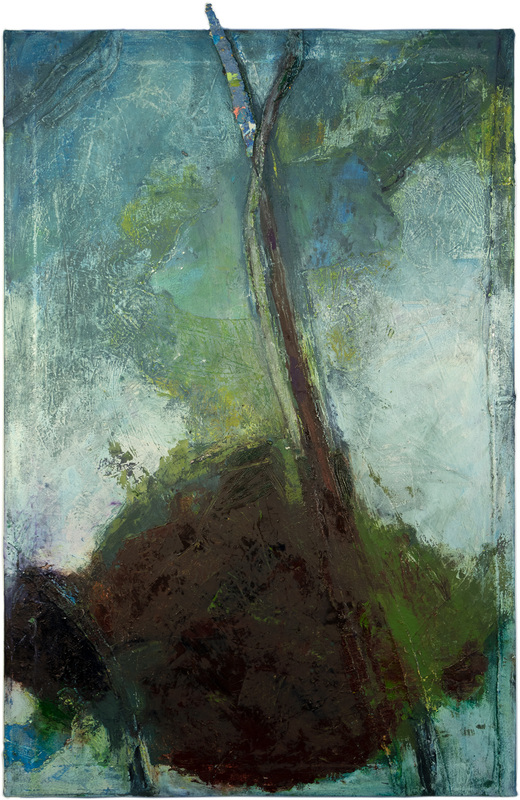 Kelly Saxton attended Portland State University and Blackhawk Mountain School of Art and received her MFA from Pratt Institute in painting and art history. 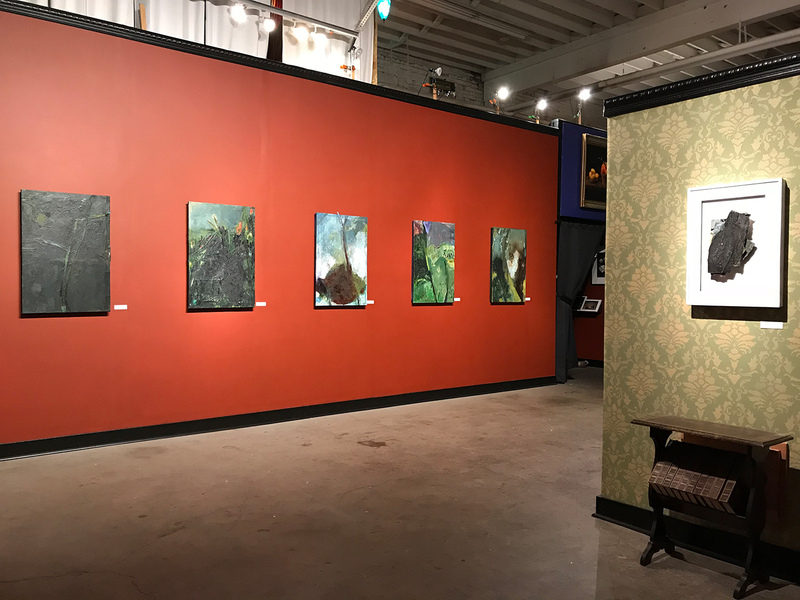 The Oregonian selected Weeds as one of 7 art exhibitions to view in Portland this fall.